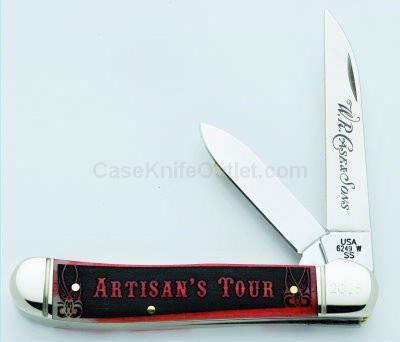 We celebrate the Case Artisan with a Copperhead (6249W SS) featuring genuine Smooth Tested Red Bone handles, fluted bolsters, Tru-Sharp® Surgical Steel blades and gift tin packaging. Production will be limited to a total of 300 pieces. Complete with Certificate of Authenticity. As with all natural material color and texture may vary. Made in the USA.